From my first day of exploring India in 2008 I was hooked. From a very young age I was enchanted by the far east and had a yearning to see the world. My wander lust took me many places, including time spent living in Ireland and Japan. But India was different from any other place I had yet experienced. On that first wander around Delhi I was enthralled. I found India to be a constant stimulation of the senses. The noise of the traffic and muslims being called to prayer, the women gracefully navigating busy streets adorned in beautiful saris, the smell of the coagulation of 17 million people, countless dogs and cows wandering the lanes, the beautiful architecture alongside the makeshift homes of people living on the street, the heat of the day and the palpable emotion of the people....the chaos drew me in. On that trip to India I explored the Himalayas, the grand state of Rajastan, experienced the grandeur of the Taj Mahal and the relaxing beaches of Goa. After 5 weeks there, I knew I would be back. I traveled to India again for my yoga teacher training in 2010 and again in 2014 for my first international yoga retreat. Each time I visited India I longed for the opportunity to stay, to soak it in for a while; to become a local in this fascinating place. I finally got my chance. As the result of a very serendipitous encounter in Nepal in 2016 I was offered a position to teach yoga and English communications at a small design college in Jaipur called Gurukul School of Design. As everything was coming together for my position and relocation I kept feeling as though I was in a dream. The job seemed to be the perfect fit. I was to be a wellness coach, yoga instructor and English teacher for students learning fashion design. And the location seemed great. I had only spent a day in Jaipur on a previous trip and I remembered it as a city rich with culture and liked the fact that it it's not too big. Yes, 4 million people live in Jaipur but that pales in comparison the the 17 million living in Delhi just 4 hours away. Although I had long wanted to live in India I was faced with a tough choice. I loved living in Portland. After nearly 8 years in the Pacific Northwest it had become my home. I had lost love, found love, grew my business and have a wonderful community of friends who became my family. Yet, I knew that if I didn't seize the opportunity I would always wonder what might have been. 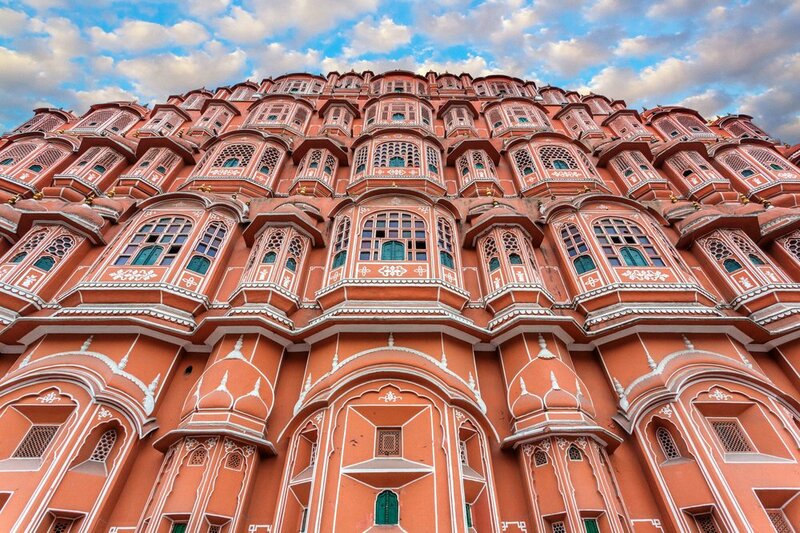 Maybe the job wouldn't be great, maybe I wouldn't love living in Jaipur; but maybe I would. And after all, my wander lust still lives, my sense of adventure guides my heart and I knew I could always return to the PNW....so off I went. Those first nights in the hotel were filled with dreams. Dreams of the past; stressful disorienting dreams of the future. I would wake up tearful and exhausted, wondering whether I made the right decision. I was thrown into things at work and felt out of sorts. The noise of the traffic got to me and the intense heat was stronger than I thought it would be. The hotel was clean and quiet and when I stepped out the door in the morning I felt bombarded by the surroundings. I knew there would be an adjustment period and I tried hard to keep that in mind. I am slowly finding rhythm in my life in India. Its been 1 month since my departure from Portland and as I find my routine I'm finding my flow. Like so much of life, its the little things that make such a huge difference. Naturally, I'm looking forward to returning to Goa, camel rides in the desert and train rides to visit enchanting palaces. This is all part of what enticed me to take this leap. But life is made up of many small moments, not just the exciting ones. It's how we choose to live each of those small moments that forms our reality. Wherever we choose to go we have to learn to seek out happiness, to find our flow that brings us peace. My flow is in friendships, love, health and laughter. I am finding all of that here. How do you find your flow?